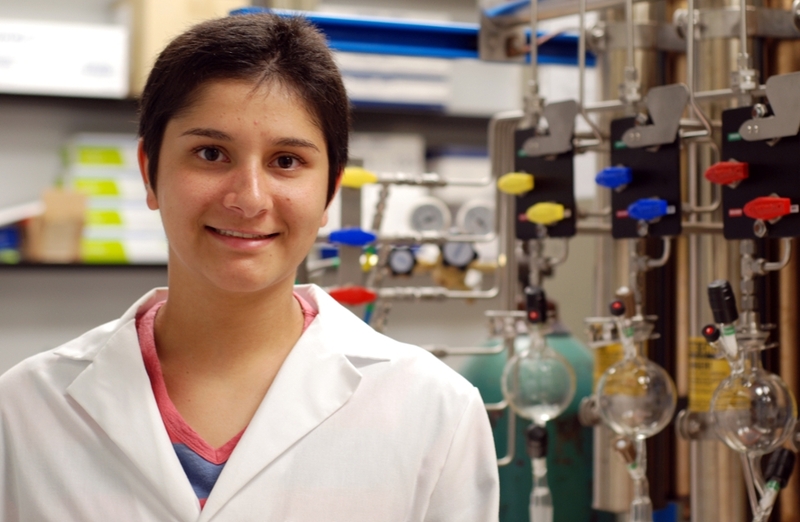 If Natasha Narayanan’s performance at the 2014 Southeast Regional Meeting of the American Chemical Society is any indication of what lies ahead in her academic and professional career, she is headed toward a consummate future. Narayanan, a COSAM sophomore and Honors College student majoring in biochemistry, gave an oral presentation titled, “Streamlined Chemical Synthesis of Tricyclic Nucleic Acid Analogues for Antisense Technology” during the undergraduate symposium portion of the conference. In recognition of both her research and eloquence, Narayanan’s talk was selected as the best oral presentation in the organic chemistry division out of 60 total presenters. Narayanan said she wouldn’t have even gone to the conference, which took place in Nashville, had it not been for the encouragement and mentorship she has received from Merner. In addition to continuing her research efforts with Merner, in her spare time Narayanan volunteers with the Study Partners program at Auburn tutoring biology and chemistry students, and enjoys horseback riding at Sandy’s Stables in Opelika. In the future, she plans to attend graduate school and pursue a career as a chemist conducting research.